In 1939, a small metal shop named Advanced Display opened its doors. Located in the near west side of Chicago, Advanced Display was founded on the principle of being a partner to each of their customers. This work ethic soon paid off and ADC found a niche serving the retail Point-of-Purchase market. In 2006, Accurate Perforating acquired Advanced Display and re-named it Accurate Metal Fabricating. Accurate Metal Fabricating has the technology and expertise to support nearly all production requirements from simple fabricated metal parts to fully assembled products ready to ship direct. The company directly and indirectly services some of the largest brands in the world through original equipment manufacturers (OEMs), fabricators and point-of-purchase display design houses. 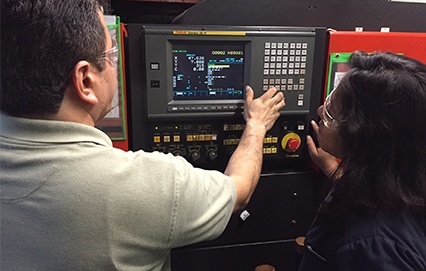 The company’s capabilities include design/engineering support, CNC punching and forming, laser cutting, welding, perforating, assembly, finishing, packaging and fulfillment. 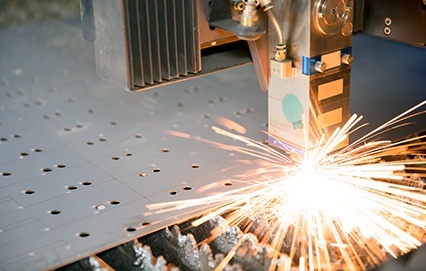 We continue to make significant advances in precision sheet metal fabrication by investing in the quality and efficiency of our production processes. Accurate Metal Fabricating, along with its parent company Accurate Perforating updated ISO 9001:2015 certification on Feb. 23rd, 2018. Now with our ISO certification, we have the processes in place so you can be confident that our products and services are continuously improved to meet the highest standards. We at Accurate Metal Fabricating will continue to our very best, every day, to ensure you get exactly what you need, precisely when you need it. Make sure to visit the rest of our website to see all of the experience, talent and equipment that we bring to each and every job we do.